Enough With The Negative Updates! If you have ever been camping, you would be familiar with the secrets in setting up a camp fire. If you haven’t or have just forgotten… It’s ok, i’ll expose them to you now. It’s all about the fuel . A fire is as only as strong as the fuel we feed it. We can stoke the fire with wood logs and we can also petroleum/alcoholic liquids. Now imagine the fire is your mind and your thoughts are the fuel. There is a growing trend on social media that it is acceptable and even fashionable to post negative social media updates. If you are a negative status updater or a negative tweeter, your fueling your mind with poisonous petroleum. By posting your status you are anchoring a negative thought patten. So something negative happens, we post it on the internet, people ‘like’ it or comment and the behaviour is reinforced through significance. This patten will be continually ingrained through the neuro-association we make to this type of update. Eventually thinking negatively becomes an unconscious habit. The Law of Attraction states our thoughts attract events in our lives and these comments are a prime example. You might make an update with “i hate Mondays” and within minutes you will have other negative comments about Mondays. These people will acts as negative reinforces and will speed up the behavioural patten and unconscious habit. You may get a few people who ‘like’ your status, retweet it or even comment back but what about the perception of the other people who don’t respond. What do they think about your comment? Are their opinion of you changing? People around you may start to believe you are a whinger, a downer, negative or someone who is always has something bad to say. Do you think this will affect your relationships? We all have a version of yourselves which we want the public to believe. Women wear lipstick to make their lips brighter then they are, men look for ways to be masculine and online we have personality traits we want to portray. Now that Facebook has introduced ‘Timeline’ and it is easier to reflect on our online past, how do you want to be remembered yourself 6-12 months from now? How long will it take until your friends unsubscribe or even unfriend you? This year i have unsubscribed from over 10 people who are consistent negative influencers. Following on from ‘Losing Friends’, your friends may not completely remove you but what if they emotionally disconnect from your updates. You may become ‘the boy who cries wolf’ and with too many negative comments, you may find yourself not having the support network you need because you have been placed in the ‘over dramatic’ bucket. So before you share a thought, feeling or experience over social media… Ask yourself “what do i want from sharing this?” and “how will others perceive it?”. I was recently presented with a opportunity to be gathered around some of the greatest minds of our time at the National Achievers Congress in Sydney. Donald Trump headlined the three days. I appreciate that many of you reading were not able to make the event, so below i will share what I learned from the man with a bad hair piece. Unlike many of the other speakers who used high energy to engage the audience, Trump stood behind a podium for the majority of the time. No Powerpoint, no visuals on a white board and no notes. How did he do it? * He was funny and it was natural. No cheap pops and nothing fabricated or irrelevant to the story. * He was honest. He spoke his mind about his values and beliefs regardless of what others might think. While I can appreciate that he is rich and is able to do as he pleases, there is nothing worse than someone speaking on a topic they do no believe in. * He was a great story-teller. Our history, culture and religion was passed down each generation through great story tellers and Donald was no different. He showed passion, he emphasised on key points and understood when to pause for effect. * He was relatable. There is always cultural gaps with international speakers, however; he was able to bridge the gap by attempting to understand them. He did his home work. Trump related to not only the Australian culture but also key issues from the Government that he could weave into his time on stage. Donald Trump’s presentation was focused around success and what makes someone successful. For anyone who has followed Donald Trump’s career you will notice it has been up and down. Many of us are striving for our own idea of success which might relate to wealth creation but it is not limited to just that. * Pressure – if you aren’t able to handle pressure then you might need a reality check before you go out on your own. A strong leader is still able to lead under enormous pressure. * Trust – it is important to hire great people in your business, however; you should never fully trust them. You can open yourself up to horrible people who look to exploit you. * Focus – never give up and never take your eye off the ball. When you are side tracked you can miss a window of opportunity that you will never get back. * Get People Back – if someone screws you then you need to screw them ten times as hard. If you don’t then people will continue to screw you. Even if you never work with the same person again, others will know that you are a fighter and not to mess with you. * Think Big – shoot for the stars and if you don’t hit your target then you will still achieve the sky. Focus on the positives in a negative situation and leverage off any positive momentum you have. * See Yourself As A Winner – and shift any limiting beliefs that you might have about yourself. How can you influence other people to do business with you if you don’t have confidence in yourself? * Luck – “the harder i work, the luckier i get”. 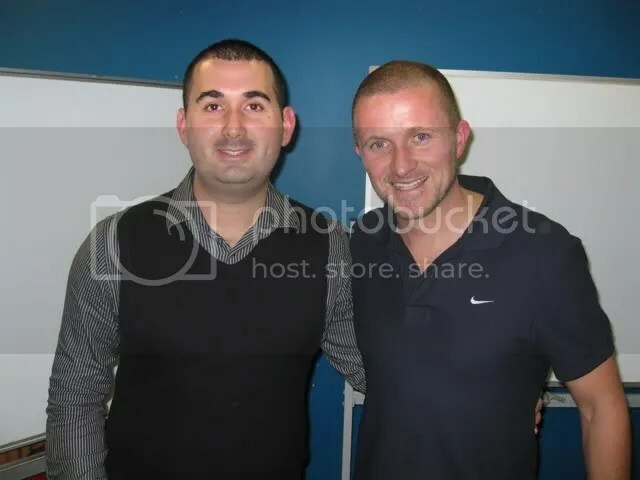 Recently I was privileged to meet a man who achieved his goal after major adversity. Imagine you were married for six years and your partner told you that they wanted to leave you. Imagine that after a grueling eight month interview process you secured a dream job with Google only to have it ripped away from you eighteen months later thanks to the Global Financial Crisis shutting down your office. After having these kinds of set backs you might think to yourself it would be easy to just move back with your parents, take up a generic job and quit trying in life. Tristan Miller acted in the opposite. Tristan sold his house, his car and his possessions to embark on a year long journey around the world to run marathons. Not just any marathons but rather 52 marathons in 52 weeks. Wow! Doctors told him it was a bad idea for his health, friends at his running club Tribal just thought he was drunk when he told them and the inner voices reminded him that he was throwing away all the wealth he accumulated over the 33 years of his life. As the story goes he ran his 52 marathons in 52 weeks over 7 continents in 2010. I would like to believe that everyone reading this has some form of goal. They maybe short term goals like sales targets or assignment deadlines and others may long term like weight loss or personal development. Who ever you are, it is important that you have goals in both your personal and profession life. Failure to have goals will result in you waking up years from now and very little has changed. Have you ever had a conversation with yourself where you attempt to talk yourself out of an exercising session? Anyone who has pushed through that conversation will know that once your start it is hard to stop. The endorphins kick in and you complete the whole session. No matter what goal you have set yourself, make sure you have started a path to achievement. 95% of goals live in imagination land because we never put an action to it. When you tell others about your goals the universe seems to pull things together to help you achieve them as long as you have committed to them with action. Letting other people know will mean you are serious about your goal and your friends and colleagues will assist you in achieving them. If nobody knows then how will we help? In life we are faced with walls which hinder our progression. Instead of walking away we need to learn to find ways to get through. Push, jump, walk around, climb… Just find a way through. Continue to use positive reinforcement to push through your toughest challenges and remember that achieving a goal (much like a marathon) isn’t just about coming first, it’s a personal achievement so do YOUR best. Some goals are bigger then others and your goal upon reflection might be so big that you don’t know where to start. It would be easy for Tristan to look at his 2,160+ kilometres worth of running and be completely overwhelmed. Keep your focus on the challenge at hand and break it down to achievable bite sizes. If you want to lose 10 kilos of weight you should focus on achieving the first kilo then the next and then the next. Once your focus is on a smaller goal you can put action to losing that first kilo. By accumulating these small victories you will feel better about yourself, you will keep focused and your path to success will remain positive. Anytime you do for the first time is going to be uncomfortable. This is the start of the learning process. Far too often people limit themselves with beliefs which were created in the past. Some people even decided who they were in high school. Hanging on to these out of date beliefs will limit your potential. To achieve your goal there are going to be moments which you need to try something new. Expand your bubble and try something new. I personally realised four months ago that I hit a brick wall when it came to my health so something had to change. My current food choices only got me so far so I decided to become a weekday vegetarian. 27 years of my life I had consumed meat during lunch, dinner and sometimes for breakfast. My menu choices at restaurants were now limited and I had to forfeit home cooked meals with the mother in law because they were laced with meat. In four months I have dropped 14 kilos and am at the lowest weight in 10 years. The rewards were worth the uncomfort and my will power is so strong that I naturally make the vegetarian choice. Eventually it becomes comfortable. This photo of a young Indian boy was taken during the Mumbai marathon. Look at how happy he is. Smile beaming as he walks barefoot on a main road covered in a cloth. Our emotions often are dictated by insignificant things like material possessions. Anyone who has travelled overseas will tell you they return to Australia with a greater appreciation for what they have. I look at this young boy and am reminded that happiness comes from within. My minor problems are nothing compared to his daily struggle to find a meal. The next time your manager makes a demand that frustrates you I want you to reflect back to this picture. Is the demand really that great? Are my problems really that big? My trip to Laos last year with the Save The Children Fund gave me that full appreciation of what I really have. Reflect on what you have that you can be grateful for. It was an amazing story from a humble man. I strongly urge you to visit Tristan’s website and find out more about his story. Below I have uploaded the ESPN video which showcases his journey. If your learning style is anything like mine then you are stimulated by imagery and visual representations. A powerful tool in assisting you to achieve your goals is through a Vision Board. A Vision Board is simply a powerful visualization of your goals, dreams and/or desires which you can use to keep you constantly focused. ‘The Secret‘ , International coaches such as Brian Tracey as well as many successful people in life harness ‘The Law of Attraction’ (you attract into your life whatever you think about) and a vision board simply activates it. Traditional a vision board will be a collage of images that you want to enter into your life. It may be you want to become, what you want to have, where you want to live, or where you want to vacation or any images to match your life changes. You can source these images from anywhere including magazines and the internet. Once you have your images, collate them with powerful quotes, phrases or words and place your vision board in a location where you are constantly reminded (bedroom wall, next to your computer, kitchen etc). Whatever you do it has to be personal. This is your visual manifestation of your desires and a constant reminder that they are yours for the taking. If you are comfortable in using Photoshop, Paint Shop Pro or Windows Paint you may even want to make a digital version and save it as your desktop! There are also many successful people who have used visual representations and The Laws of Attraction to their advantage. Pete Brown a natural bodybuilder and personal trainer who recently shared some of his insights in A Healthy You has also used a vision board to assist with his focus. While he focused on “Striated Glutes” he would use phrases like “Shut up and train”, “Its deep inside you”, “Push out your potential” and “Nothing good comes easy” to help break through barriers. As a struggling young comedian trying to make it in the make or break city of Hollywood, Jim Carrey was just about ready to give up his dream of becoming a professional actor and comedian. He had just performed at an open mic session at one of the nightclubs in Los Angeles and had been booed off the stage by his audience. He sat by himself at the top of Mulholand Drive and looked out at the city below him—the city that held his future success or failure. He then pulled out his check book and wrote himself a check for $10 million dollars and made a note on it: “for acting services rendered.” He then carried that check with him in his wallet everywhere he went from that day forward. By 1995, after the success of his blockbuster movies: Ace Ventura: Pet Detective, Dumb and Dumber, and The Mask, his contract price had risen to the price of $20 million dollars. What will you include on your vision board? Over the last week or two i have been discussing and reading about goals with friends and the greater blogging community. There is a lot of excitement around 2012 as the ‘Year of Change’ which is awesome. I’m all for positive change and people taking it to the next level. There has also been a lot of negativity around setting goals this year because in previous year they’ve easily fallen off the wagon and lost their momentum. We all know what to do. Exercise, eat right, spend more time with loved ones, save more money, don’t over spend, take up a hobby, enroll into study and/or reduce binge drinking. Does this sound like one of your goals? I know for a fact that every person reading this can achieve their goals in 2014. You are clear, you are capable, you are motivated and you know exactly what needs to be done. What we need to appreciate is that these are only resources. 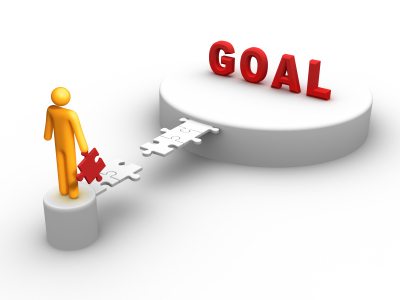 If you failed to achieve a goal in 2011, ask yourself “why didn’t i achieve this important goal?”. Your reason is never about a lack of resources but instead without understanding your WHY you failed at being resourceful. So what is my WHY? Simply put, Your WHY is your ultimate motivator. Your WHY is the root of your goal and without achieving this goal will create immense pain for you or you will miss out on an ultimate pleasure. So let’s take an example – Your goal maybe to lose weight and you know that you need to make better food choices and exercise. Your job is tiring and you know you shouldn’t eat that candy bar/drink that fizzy drink but it makes you feel good and eases the stress. You also should exercise after work but sometimes you are too tired and you have things waiting for you at home like cooking dinner/cleaning/Facebook comments/favourite television show. At a quick glance does this person seem to have a clearly defined WHY? No… and you can tell because they know what to do but aren’t able to break through their barriers. Now imagine this person had defined their WHY. If I exercise and/or make better food choices I can be the healthiest i have been in 10 years. I will be able to fit into smaller clothes (which means a new wardrobe), i won’t need to wear baggy clothes and instead i will have complete confidence in my body and can wear more revealing clothing. My friends will not only compliment me but also may ask for my advice. Would the second story create the ultimate motivator and help the person stay focused on their goals during the toughest of times? Damn straight! If i eat this chocolate i will move further away from looking my best and all the things that come with it. People often fail because they look to the past rather than into the future. Nobody drives a car using the rear view mirror so why direct your life looking backwards. The past does not equal the future. – Understand what pleasure you will gain or what pain you will avoid by achieving this goal. Don’t forget to ‘Like’ Art of Conversations on Facebook. 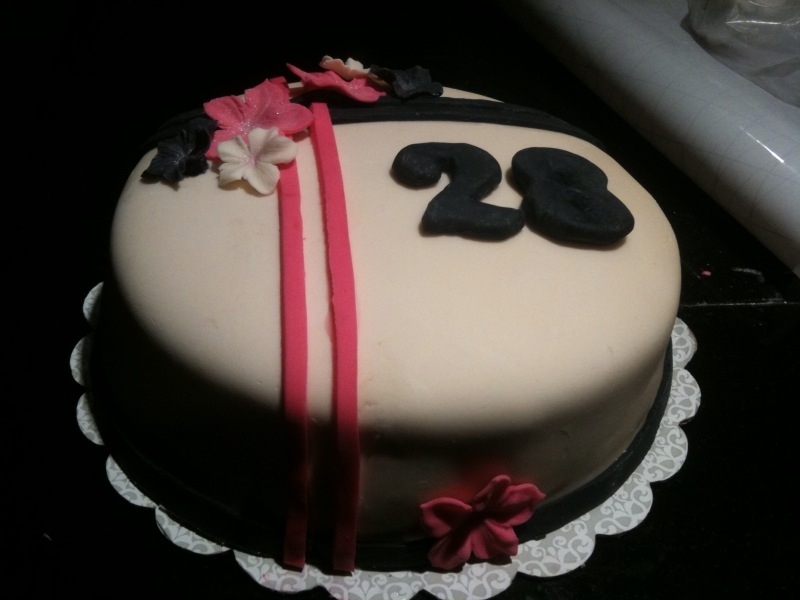 It wasn’t that long ago that it was birthday and I turned 28. Instead of freaking out that I am the oldest I have ever been, I’m going to recap on some of the life lessons I have learnt so far. This list is in no way definitive or complete, but just what came to mind. I will also say that some of the things that made the list are not totally new but I have attained a far greater understanding of them. You don’t need 8 hours sleep every night. We all love our sleep but you are able to achieve things at night which you couldn’t during the day so make the most of your time. We all get 24hrs a day. The grass is not always greener. Often it is the same grass. There is no such thing as failure, only feedback. When things don’t work as plan, take the feedback on board and try another approach. You don’t always have to do the talking. We have two ears and one mouth so we are actually encouraged to listen more by our bodies. Try it sometime. What you put in is what you will get out. Make the most of an opportunity because you don’t know where it will lead. If you don’t know it you can always Google it. I love Google! Any situation in life can be found in Seinfeld or The Simpsons. It is amazing how you can reference these programs in everyday life. Always have something to write your thoughts. Notepad, electronic device or a voice recorder. Your ideas are valuable! Friendship will come and will also go. Be comfortable with saying goodbye if they are no longer helping you grow and move forward. If you are not growing, you are dying. If you aren’t growing than look for new challenges. Back yourself in every situation. You will be surprised what you can achieve when you place confidence into your abilities. Books are not just for school. Learn to enjoy reading and make it a daily habit. It is amazing what you can do when you learn from others. Food choices are the keys to your weight. A healthier you starts with the fuel you put into your body. You can survive without a licence. 28 years and I don’t think I have thought once “I wish I had a car license”. It is not as important as some people make it out to be. You don’t have to spend your entire pay check. Learn to put money away for a rainy day and strive not to live one paycheck at a time. You don’t need to know everything. Learn to immerse yourself instead of dabbling. Being to master your skills/knowledge rather than being a jack of all trades. Play to your strengths. Take action. Knowledge isn’t power, power is found in taking action. Very few people make thought a reality because of a fear of failure. We all have 24hrs in a day. We all have the same amount of time so a lack of time should never be an excuse. Many before you have accomplished great things with the same amount of time. It’s exciting traveling on your own. Something I thought that would be scary and lonely is actually a hell of a lot of fun. You are forced out of your comfort zone and meet new people. You get to do what you want to do. Don’t be afraid to pay extra for quality food. The extra money you spend now will save you double compared to the health costs down the track. Never substitute quality for price. The past does not equal the future. What worked and didn’t work in the past will not have always have the same effects in the future. We have all grown as a person, we have new knowledge and new skills. If something didn’t work for you in the past, don’t be afraid to try again. Things have changed! Don’t do what poor people do. Successful people do what other people don’t do so if you want to be successful you need to start a new series of patterns. People always act with the best intentions. It may not seem like it at times, however; we all aiming for the best outcome. Try to understand people’s motives and “walk in their shoes”. Mondays are awesome. You might have Monday-itus now but if something ever happened to you (and I wish nothing ever does), you will want every day that it available to you. Make the most of every day. Everybody can teach you something. We are all experts in one area of our lives so be open to learning from others. It’s amazing what you can pick up from your peers and those around you. Adults can learn from children. Why do we hide the fantastic characteristics of being child? Have fun, be curious and get up when you fall down. You will miss out unless you ask. Don’t be afraid to ask for what you want. Nobody knows what you want unless you tell people. Success is journey and not a destination. Enjoy the process and when you reach a landmark, celebrate then continue to the next landmark. Never stop the momentum because you may not get it back. So that is my list of 28 lessons I have learnt at 28 years of age. What would make your list? Understand why you must achieve this goal. Goals need commitment to last through even the toughest time. Knowing my why will push me through the excuses that I will form over time. What are the reason you absolutely will achieve this goal no matter what? Why do you want to do this? Set your goal prior to the new year. There is no time like the present to take action on your detailed goal. Look to build momentum with your new year goal and ask yourself what action no matter how small can you take immediately? If you have a moment, I would love to hear about your goal and what you want to achieve. So what is your goal for the new year? In my role at work i often travel around Australia and Melbourne in particular is turning into my home away from home. Due to a few events in Melbourne last month, i found myself staying in a hotel that i had never stayed before named Jaspers. A cute place that is convinently located next to the Queen Victoria Markets. It isn’t the most elegant hotel and nor is it a backpackers. Fast forward a month later. I have returned to Melbourne and again i am staying at Jaspers. Even though i have been traveling for work since 2008, i find myself surprised for the first time as i check into Jaspers. After throwing down my posessions and jumping on the bed for a moment, i find an envelope on the dressing table and it is addressed to Mr Magro. “What on earth was this?” i wondered. Was it from work? Was there something about my hotel room i needed to know about? Was there an unpaid charge from my last stay? I honestly had no idea. I opened it up to find a card but it wasn’t my birthday. I have stayed at many hotels and they all have their loyality programs but this is the first time that a hotel has really built some loyality with me. I’m a valued customer. A 40 cent card with 20 seconds of the managers time to personalise the card was all it took for me to have a positive impression of them. In an age where retailers fear online shopping will send them bankrupt, here is a company which has made a concious effort to create a satified buyer. If you are in an industry where you deal with customers on a daily basis, reflect on how you interact with your customers. What can you do to stand out and be memorable? There are many ways which you can stand out. Remember that is always harder to attract a new customer then it is to upsell an existing customer. If you are sales driven or looking to achieve your budget you should first look at your existing customer base. I probably had one of my most embarrassing moments of 2011 occur two weeks ago. It was something I wasn’t proud of and it easily could be perceived as failure. After all this effort with University this semester, I forgot my exam. That’s right… I forgot my exam. During the month of June I was flying all around Australia for work. I was cramming notes, spending time on my assignment rather then heading out and exploring but in the hype of work, I landed back in Sydney hours after the exam was over. It slipped my mind. I couldn’t believe it. Not to mention that I had to move house in the small amount of time I was in Sydney prior to the exam. All this time, effort, money and to simply miss your exam is just embarrassing. I’m expecting a letter from University for my overall score for the unit and while it is going to have an F for failure, I never failed. Failure is to not learn from your mistake and failure is not getting up when you have been knocked down. Well firstly I learnt a lot about the foundations of marketing. There is terminology which is no longer strange to me. I also learnt how important it was to manage your time. No longer is University my full time occupier, I had work commitments. Over the course of the semester I found the discipline to commit two nights a week to study on top of life. I also learnt that marketing might not be what I want to study. While i found it interesting it wasn’t exactly something that engaged me. I’m considering the internal debate if I should finish my Bachelor of Arts. It would be wonderful to finish but for the time that I spend, it won’t enhance my value in my career and industry. At 65 years of age Colonel Sanders attempted to start a chicken business. At the time he was broke. With a recipe in hand he approached many business looking for a partner and time and time again he was knocked back. Eventually he did receive his opportunity and he went on to create KFC. Did he fail in his sales pitch while seeking a business partner? No, he was provided feedback on how to better present his offer to his next customer. So did I fail, no… what I was provided was feedback on how to juggle career and study. Say goodbye to posting time consuming messages on each social media platform. HootSuite is a social media communications dashboard used for online brand management. It publishes to websites such as Facebook, Twitter, Google+, LinkedIn, Foursquare, MySpace, and WordPress. It also publishes to Flickr, Tumblr, and YouTube via HootSuite Apps. LunchMeet allows for meaningful, face-to-face networking wherever you are, whenever you are available. Why eat your lunch alone when you can meet somebody new… and who knows where the conversation might take you. WhatsApp Messenger is a cross-platform mobile messaging app which allows you to exchange messages without having to pay for SMS. WhatsApp Messenger is available for iPhone, BlackBerry, Android and Nokia and yes, those phones can all message each other! It’s great for group conversations too. Flashcardlet is a free, easy-to-use studying application with material for any class or standardized test. You can also create and share your own. It is the best way to study on any iOS device. This is a great tool for any structured conversation, presentation or if you need a reminder. Forget messy bill splitting or handling small notes and coins at the restaurants with friends/clients. Commonwealth Bank’s Kaching is a revolutionary iPhone app that will change mobile payments forever. Now you can pay your friends using your mobile, email or Facebook contacts. You can even make contactless payments. Easy way to make a few new Facebook friends too! 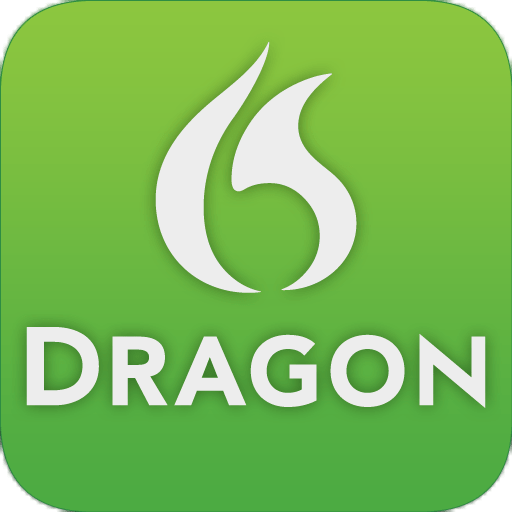 Dragon Dictation is an easy-to-use voice recognition application that allows you to easily speak and instantly see your text or email messages. It’s up to five times faster than typing on the keyboard. Great for meetings, scripting, brainstorming, University lectures or anytime you may need to take notes. Always have something interesting to say thanks to StumbleUpon. StumbleUpon helps you easily discover new and interesting stuff on the Web. Select topics of interest it will introduce you to amazing web pages, videos, photos and more that you wouldn’t have found on your own. Bump makes sharing with people as simple as bumping two phones together. Just pick what you want to send, then hold your phones and gently bump hands with another Bump user. Viber is an application that lets you make free phone calls and send text messages to anyone who also has the application installed. You can call or text any Viber user for free. CardMunch turns business cards into contacts. Take a picture with the app and a business card is converted to a contact automatically. Last and definitely not least… WordPress. Without WordPress there wouldn’t be The Art of Conversations. WordPress is a free and open source blogging tool and content management system. As of f August 2011, WordPress powers 22% of all new websites. Amazing! So there you have it… my must have apps for any conversationalist. How many have you already downloaded? Am I miss any in my list? What else do you recommend a conversationalist must have?